Ima moj stari mx6 1993 2.0 120 ks. i got an mx6 the udder day for 500 quid has a leaking water pumps - I reapired it for 50 quid now all good. so smooth wit a great acceleration a real classic - that I is keeping . 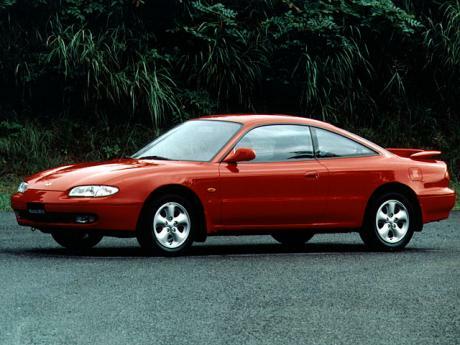 I don't know about the MX-6 LS 5-speed, but I do know that the listed 0-100 km/h time is incredibly slow for a Probe GT 5-speed, which does it in the low seven-second range. For the price you can get one of these things for... i doubt you can beat it. did i mention the boot is big enough to fit a full set of colf clubs and buggy! oh, and you can fit the kids in the back, (if you have too).